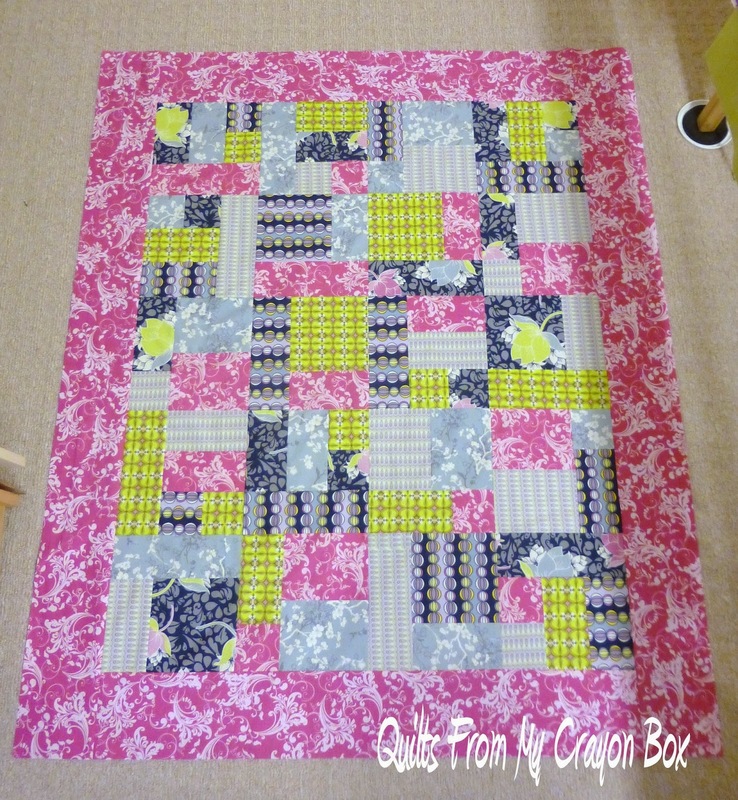 Crayon Box Quilt Studio: Rainbow Scrap Challenge, H2H Challenge and a Winner! Rainbow Scrap Challenge, H2H Challenge and a Winner! It feels really fantastic to get so much sewing done lately! It makes me one very happy person. 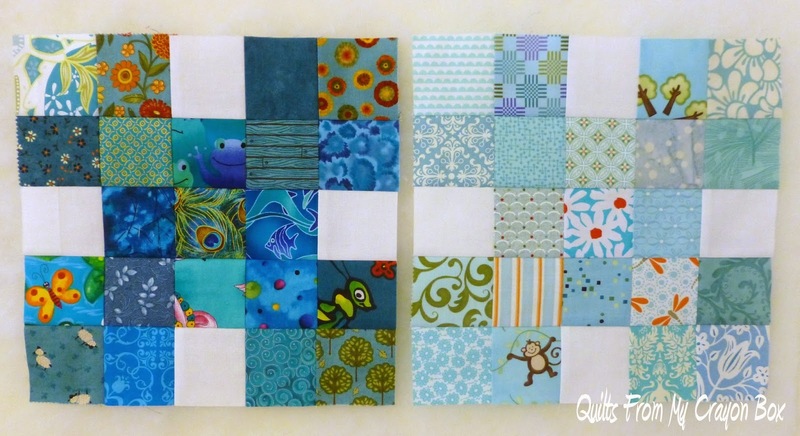 On Friday I pieced together the light Teal block for the Rainbow Scrap Challenge 2014. The dark version was also laid out on the table but due to the evening lack of decent light, I wanted to wait until morning to see how it looked and if I liked it the way it was. I found this a really tough color to work with, some bits look more blue and some look more green. Here are my completed blocks for March. I love being all caught up. The sashing and backing fabrics for the 2 baby Hands2Help Charity Quilt Challenge quilts arrived on Thursday so I was able to also complete those tops on Friday. Sorry for the not great indoor pictures. It was late and it is pouring rain right now. Here is the girl version. I chose Bella Hyacinth to coordinate with the charms and I love the look. And this is the boy version in which I used Bella Clover. This a great pattern for quickly whipping up a top and I'll definitely use it again. Then the border fabric for the 3rd H2H quilt arrived yesterday and after attending a birthday party for Sunshine's classmate I completed this top too. 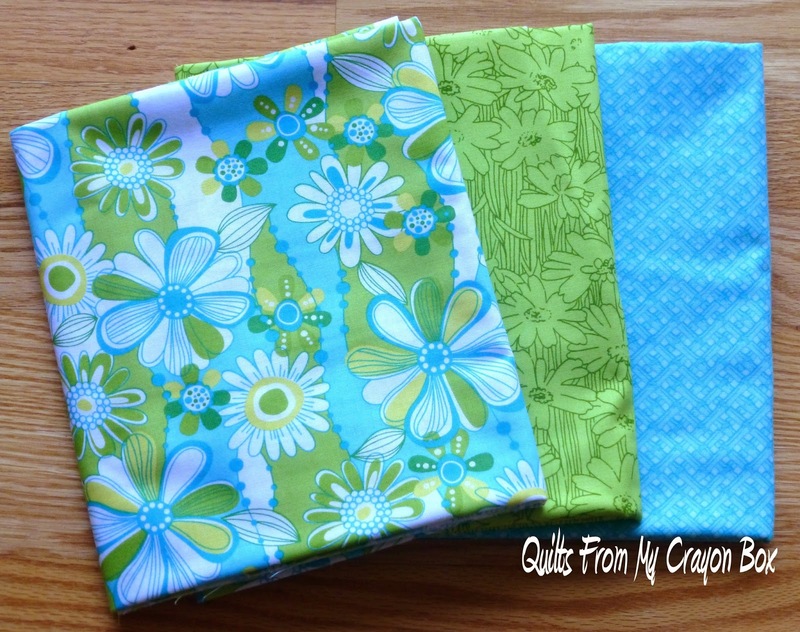 Now all 3 tops are ready to be quilted on my Penelope longarm machine. They will be the 1st quilts that I will complete with her. The only other things on my To Do list today is to get the clean laundry put away so I'm hoping to get a bunch more sewing time in. Sunshine wants to get her Primary Bee block done and Jammer needs to get his done too. Sunshine is the Bee Princess this month so they don't need to get mailed anywhere. A few of the blocks from her bee mates have arrived and we need to take pictures so that we can show them to you. The next quilt up on the list is the EMS/Fire raffle quilt. It should go together fairly quickly which will be great since it needs to be done by mid June. Plus I have another commission quilt on the schedule. It will be another kids' art quilt, this one for Sunshine's school. We are doing things a little differently this time but it is going to be equally fun putting it all together. And last but not least, it is time to announce the winner of my Follower Giveaway for the half yard cuts of Petal Pushers by Whistler Studios for Windham Fabrics. Nothing stocked in my sewingroom. But the kitchen is just a few steps away! Congratulations Cynthia! I have sent you an email. She blogs over at Quilting is More Fun Than Housework and is a frequent showcased quilter in my Stunning Stitchin Sunday series. What I also didn't realize previously is that she is also involved in Quilts are for Giving. 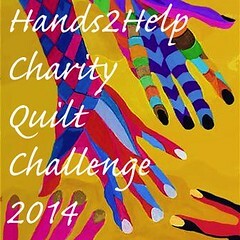 It is a great charity dedicated to putting quilters and those that need them together. Go check it out. If you have a quilt that needs a home, they have a whole list of charities that you can donate it to. I love this idea and will most definitely be helping out in the future. I hope you have a great quilty day! Congratulations to the winner and thank you for hosting. 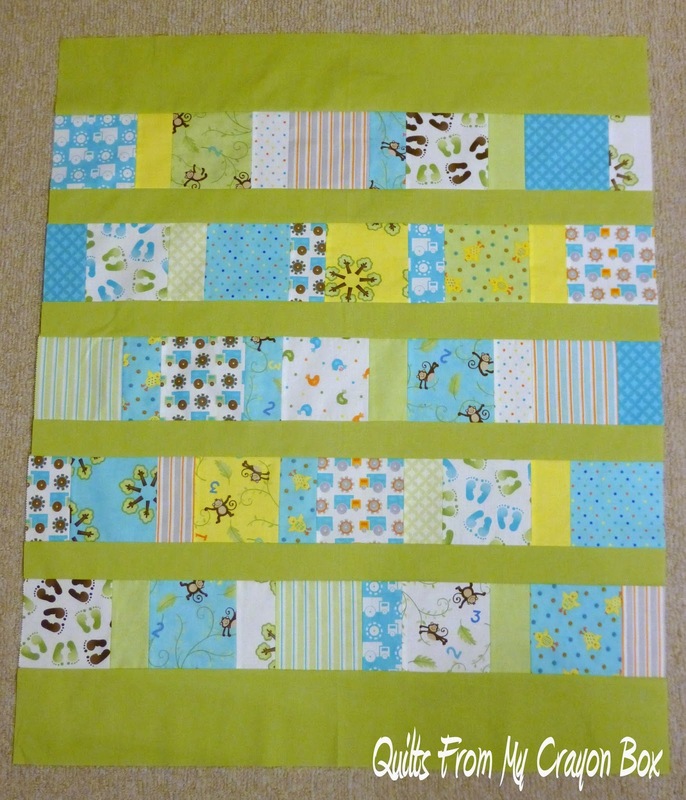 Wow - you went fast (and easy) with your H2H quilts and I love all of them. Congratulations to Cynthia. 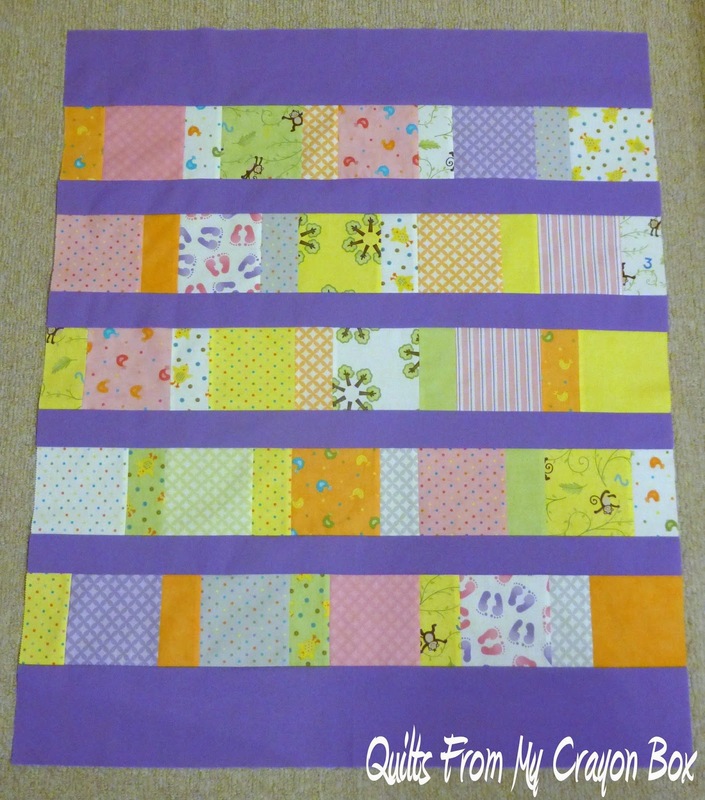 I'm looking forward to seeing the new raffle quilt for Sunshine's class. Everything on your blog is so bright and fresh...makes me think that Spring is really here! Lovely projects! your quilts are so pretty and simple. love the simple part. thanks for sharing. Thanks so much for the giveaway Michele! Can't wait to see the fabrics. Love your scrap quilts. And that you made them for H2H.